Me Jd, me like foooood! Hidden at the bottom of a dark lane in the shadows of the awe inspiring Shard there is an industrial unit like no other. 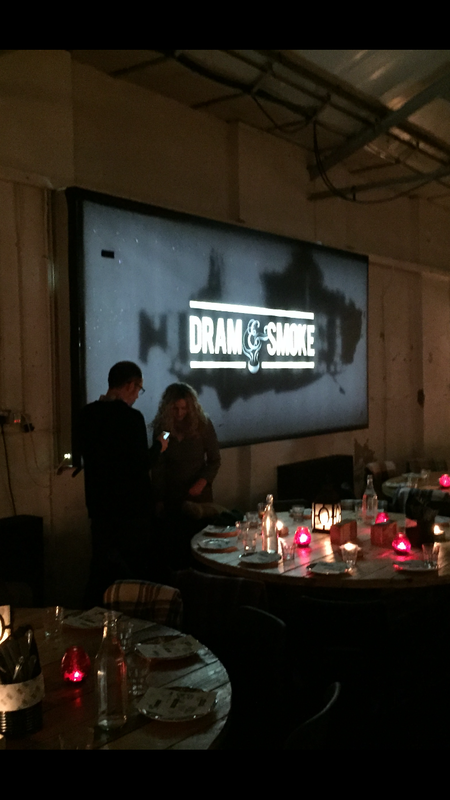 A former tannery, this winter season it has been transformed into London’s foremost Scottish pop up restaurant Dram & Smoke. 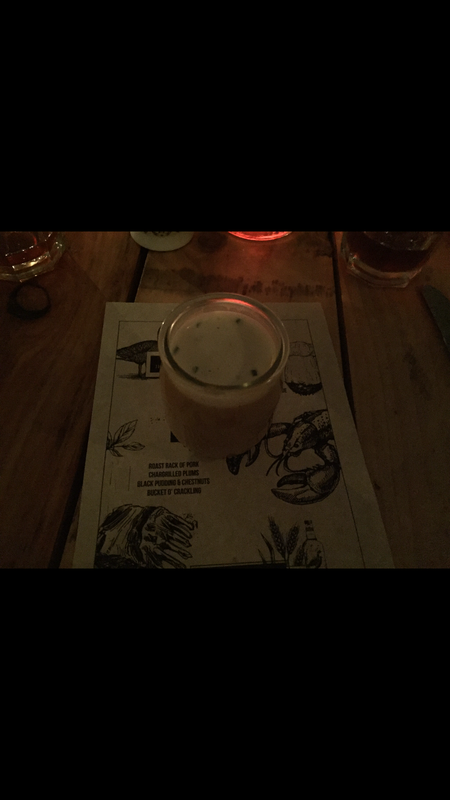 For several years now the lads at Dram & Smoke have appeared on a seasonal basis in various locations around the city providing some delicious Scottish inspired dishes. 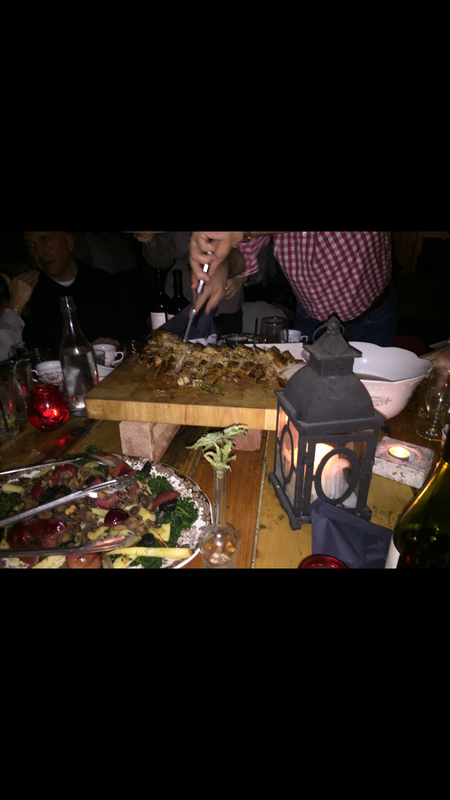 – roast rack of pork, chargrilled plums, black pudding, chestnuts and a BUCKET OF CRACKLING!!! So having come here as a 2 we were on a table of 10 so lots of new people to meet, fear not by the end of the night it was as if we were all old friends, contact details were exchanged and further nights out planned. 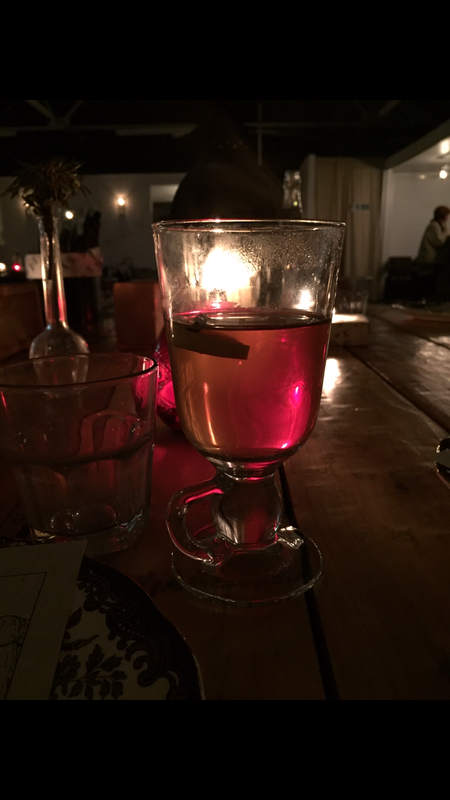 The hot toddy on arrival was a welcomed thing, coming in from a cold wet night, naked grouse with honey and lemon. A tried and tested classic. Duck donut…..irn bru chilli jam. Genius. 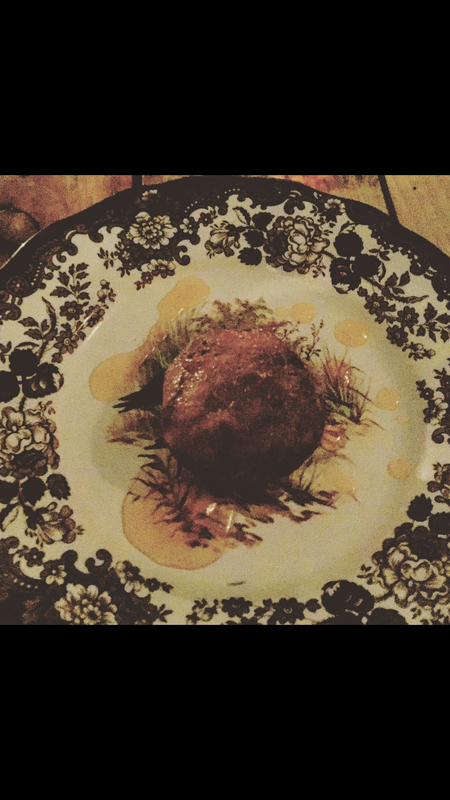 A proper savoury donut with a sugar coating filled with confit duck meat. The irn bru chilli jam carried the flavour of the famous Scottish soft drink with a really nice heat. 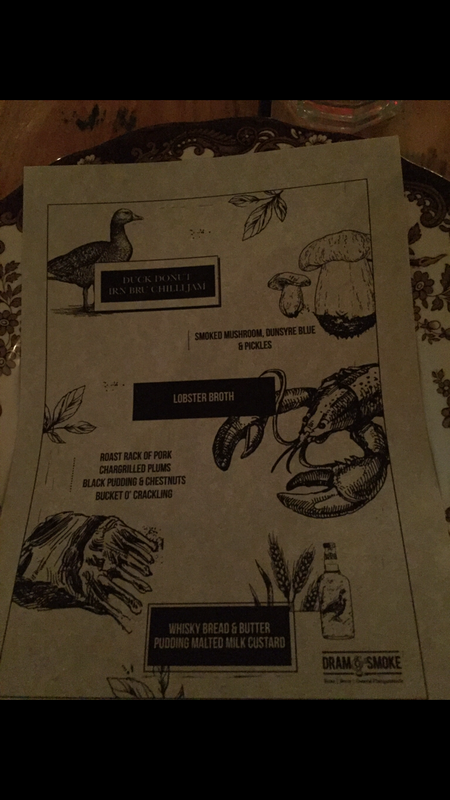 Surprising and delicious way to start the meal. Mushrooms and blue cheese, again a tried and tested match, with the lovely crisp bread it was an unremarkable but delicious course. Lobster broth, every day 10 large Scottish lobsters are sacrificed to make this delicious soup. Well sized as apart of a five course meal it was a joy to eat and served in an innovative way. The cream top really cut through it and yeah it was gooood. NOW, when the menu say rack of pork expectations as to what is going to be delivered are pretty high, they were surpassed. 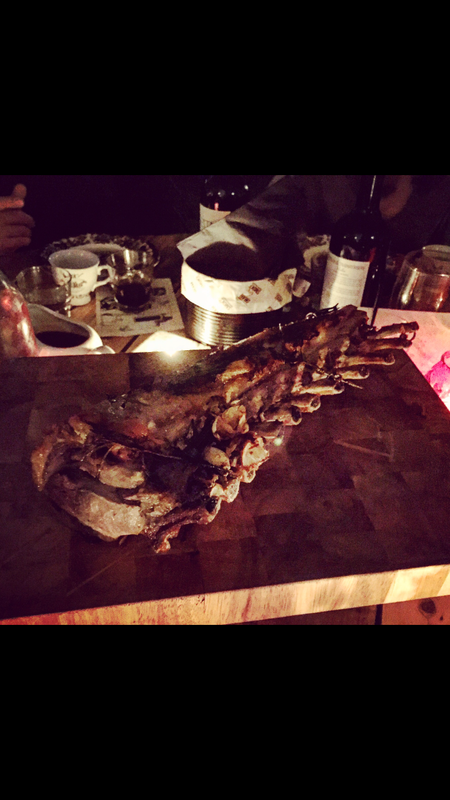 This giant piece of meat arrived at the table on a massive block with carving knife and fork. Alongside a plate of veg + black pudding and a BUCKET OF CRACKLING. I mean I know I keep typing this in capitals but it feels deserved because I mean crackling…by the bucket. This forever should now be the measuring unit for crackling. The meat was succulent and tasty, so well cooked. The veg lovely, the black pudding and plums and great match and the crackling just topped it all off. A large jug of good gravy also passed around made for a satisfying main course. 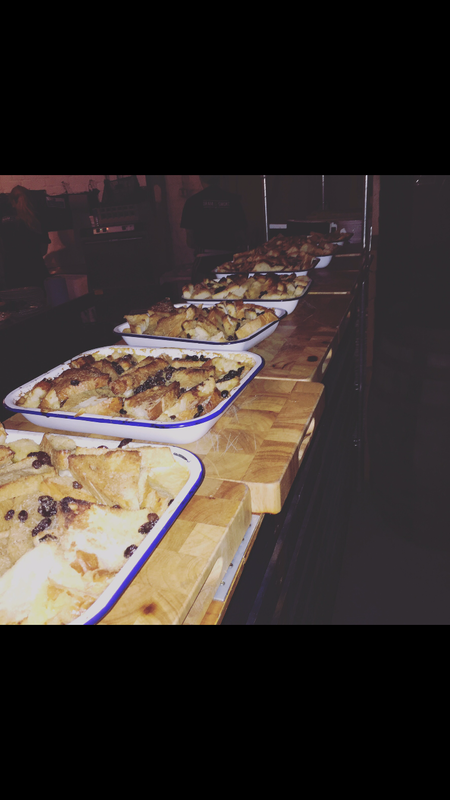 Desert, the British classis that is bread & butter pudding, again does as a large table serving we then split between the table. It was plentiful, it was whiskyful it was delicious! On our table happened to be a whisky journalist who managed to secure the table each a rob roy and then a bottle of the lovely naked grouse which added to our erm merriment. If you manage to grab a ticket for this go and be happy! If you miss out make sure you don’t next time! For £40 it is incredible value! I mena crazy good value! !